Nine former U.S. presidents have visited Chautauqua Institution, four of them while they were in office. 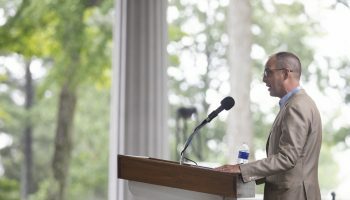 But even more American presidents have written Chautauqua to share their favorite hymns, sparking a Sacred Song Service concert tradition that will carry out this weekend. At 8 p.m. Sunday in the Amphitheater, Jared Jacobsen, organist and coordinator of worship and sacred music, will lead a Sacred Song Service themed “Favorite Hymns of Our United States Presidents,” a concert he performs nearly every year. 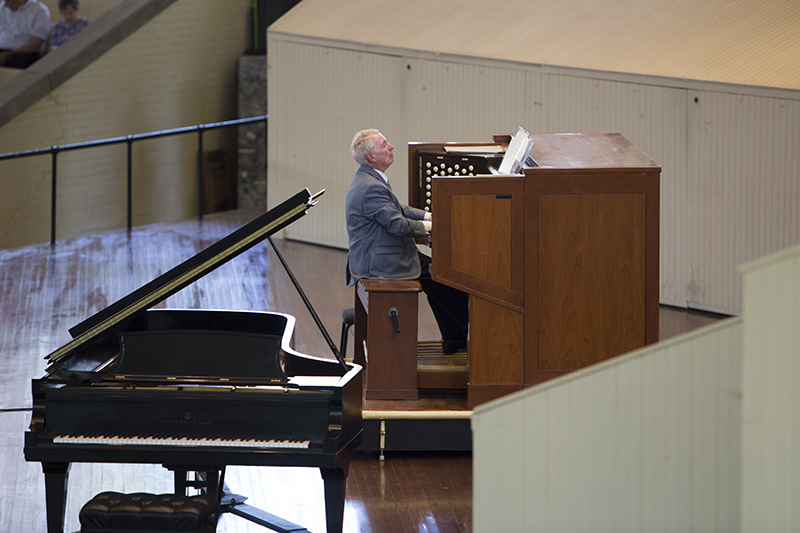 During the recital, Jacobsen will play some former presidents’ favorite tunes on the Amphitheater’s Massey Memorial Organ, and largely encourage congregational singing. He will also occasionally break from playing to read letters from former U.S. presidents explaining why they love a particular hymn. One of Sunday’s featured hymns is “Eternal Father, Strong to Save,” commonly referred to as the “navy hymn.” Although Jacobsen said all of the armed forces branches have their own hymns, this one is especially popular because it was played during John F. Kennedy’s funeral. Other hymns may intrigue Chautauquans because they are unexpected. Jacobsen said many people would assume former President Jimmy Carter’s favorite hymn is the popular anthem “Amazing Grace” because of its Southern roots. However, Carter’s favorite hymn is “Blest Be the Tie that Binds,” by British-born Baptist pastor John Fawcett. The hymn is about Christian love and devotion, as well as pain and burden. Jacobsen is personally excited for Sunday’s Sacred Song Service theme because of its fascinating historical focus. 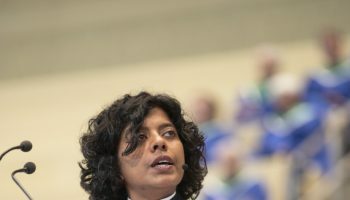 He said during the politicized fragmentation of the summer before a presidential election, those hymns provide a calm context for discussing past U.S. presidents. They will also give Chautauquans insight into these presidents’ personal faiths.